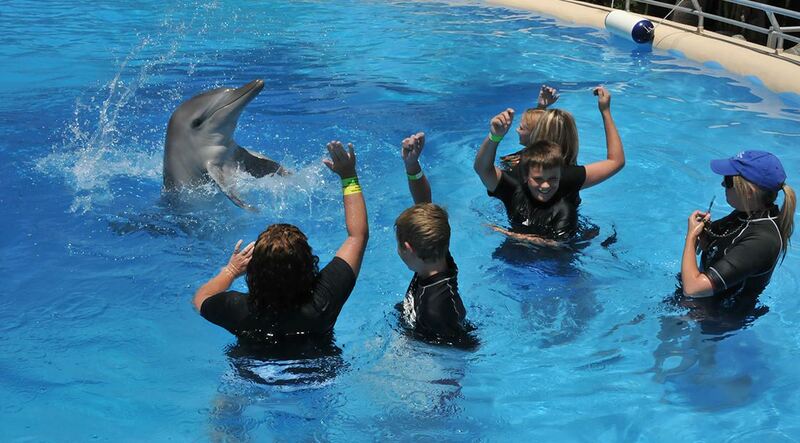 A swimming pool can be a source of great fun for a family. However, it does come with its own dangers and risks, especially in families that have young children. That is why it is recommended that you do not invest in a swimming pool until your kids attain a minimum age of 5 years. However, if you already have a swimming pool and a new family member is on the way, or you are planning to invest in one soon, you need to take all the precaution necessary to keep your yard safe and a fun place. In Queensland, pool compliance Noosa is required by law. The number one rule is to never leave your children unattended in or near the pool, even for one moment. It does not take a lot for your kid to fall into the pool and even drown. As such, even if you want to pick a phone call in the house, go with your child into the house. Children are naturally curious and unbelievably quick. As little as 5 seconds is enough time for a disaster to take place. Always stay at arms-length of your child just in case you need to react as quickly as possible. Always keep rescue equipment (especially a life preserver and a shepherd’s hook) and telephone in the pool area. Having these items can save a life in cases of emergencies. The hook will reach out to drowning quickly and the phone makes the process of calling for emergency assistance much easier. You should also consider investing in a pool fence. In most cases of children downing, the kids wander from the house and go to the pool area, where they fall into the pool without their parents knowing until it is too late. A fence will go a long way to reduce the risk of accidental drowning. To this end, invest in a fence that is a minimum of 4 feet high all around the pool, thereby separating the pool and yard and house. Additionally, use self-closing gates with self-latching locks. Ensure the locks are positioned where your kids cannot reach them. In the same light, you should hire a licensed pool safety inspector to look into the safety of your pool and certify that it meets all the set safety standards. Visit the following link to insure you’re compliant with Pool fencing and safety laws in Queensland. And while the intention of taking great precaution is to avert an emergency, in case it happens, it is important that those around have the capacity and training to offer first aid. As such, everyone who can learn CPR should learn it. You should also make a point of removing all toys from the swimming pool after use. Leaving toys lurking in the swimming pool might tempt children to reach out to get them, which can be disastrous. Keep in mind that when children miss their toys, they will go out to hunt them. Finally, when the time at the swimming pool is over, you should secure the area to make sure they cannot get back in. Do you live at or visit a property with a backyard swimming pool? The majority of young children who drown do so in backyard swimming pools, If your children are at a property with a pool in the yard, remembering the layers of protection is absolutely vital. Simple steps can be taken to make what should be a fun, healthy experience much safer. Regularly check the pool fence and gate are in proper working order. Remove items that can be used to climb the fence; eg, chairs and eskies. Heavy, secured furniture is best. Never prop the gate open – the prop is easily forgotten. Remove toys from in and around the pool when not in use. They are a major attraction for youngsters. Constantly reinforce the water safety rules of your house; (eg. 1 only go swimming with a grown up). Keep a phone poolside so that you never have to leave the pool to answer it and can call for help if needed. Consider other layers of protection, in addition to fencing such as pool nets, covers or alarms. CPR charts should be on display. Supervision, supervision, supervision. Come prepared – be ready to get wet. At all poolside gatherings, sober adult supervisors must be appointed as �?pool watchers’. They should never leave their �?post’ until replaced by another competent adult supervisor. Drowning frequently happens when one adult thought another adult was supervising. Check out Pool Water lanyard. What if we are visiting? 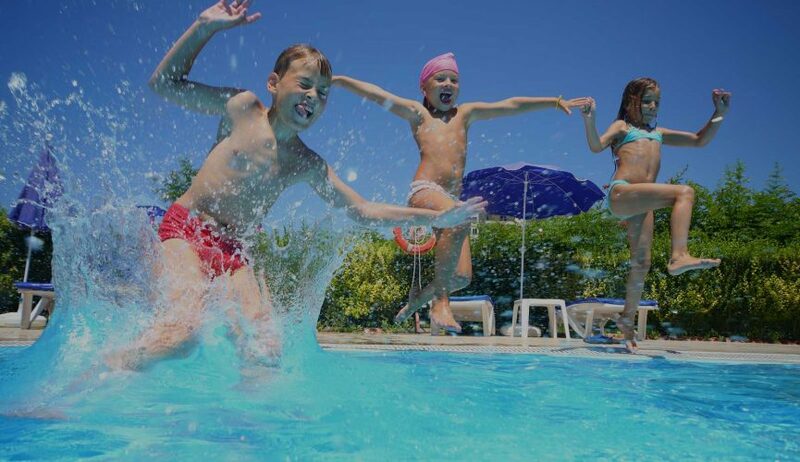 If your child is visiting another home with a pool, ensure that the pool is properly fenced. If the pool is to be used, constant supervision by a competent adult must be provided. Don’t assume they will be safe – check that there are layers to protect them from drowning. What are our responsibilities as pool owners? It is essential that your children learn swimming and water safety skills to a high level and that all adults learn CPR. Did you know that heavy rainfall has been known to wash away enough space under a pool fence for a toddler to crawl through? What other way could my child drown at home? Eskies and ice buckets at parties – keep out of reach of toddlers. Large containers in yards – anything that can hold rainwater – empty regularly. Wading pools should always be emptied after use and put away where they cannot be filled up with water following rainfall. Outside spas should be fenced in addition to having secure closing covers. Washing machines and toilets – restrict toddler access. Pet’s water bowl – keep it shallow. Did you know that infants are top heavy’ They are drawn to containers of water, but as they lean in they can easily lose their balance and fall in head first, finding it almost impossible to right themselves. In just minutes, tragedy can strike. Bath time can be a wonderful time of exercise and bonding. Tragically, though, several children drown in top quality bathtubs every year. Never leave small children alone in a bath and empty them as soon as the child is out. Caregivers responding to distractions – doorbell, phone ringing, kettle boiling etc. – are often why children drown in the bath. Another valuable tip is to ensure everything needed, like towels, pyjamas etc are ready beforehand … and take the phone with you or ignore it if it rings! In essence, it is back to Layer 1 – Supervision: NEVER leave the bathroom until bath time is completed and the tub is empty; and NEVER leave another sibling in charge. Also, keep the bath plug out of reach of children. What about when we’re out and about? Barriers will rarely be present for these hazards, son constant, competent supervision is essential. Remember that wherever you and your child are, you must be on the look out for water hazards. The trip to the public pool is not one where the responsibility for your child is passed onto someone else. As Royal Life Saving Society – Australia points out: “As a parent you have a responsibility to look after your own children – lifeguards do a great job of keeping our pools safe but they are not babysitters”. F – Find the flags and swim between them – the red and yellow flags mark the safest place to swim at the beach. A – Ask a surf lifesaver for some good advice – surf conditions can change quickly so talk to a surf lifesaver or lifeguard before entering the water. G – Get a friend to swim with you – so you can look out for each other’s safety and get help if needed. Children should always be supervised by an adult. S – Stick your hand up for help – if you get into trouble in the water, stay calm, raise your arm to signal for help. Float with a current or rip – don’t try and swim against it. Did you know that your child should be wearing a well-fitted, Australian Standards approved Personal Flotation Device (PFD) while out on water craft such as boats – even if they are a competent swimmer. Please note: Alcohol is often a contributing factor in many drownings. Supervision becomes lax at a time when children want to explore a new environment. The Kids Alive Water Safety DVD is available. A chance encounter between Water Safety exponent Laurie Lawrence and Australian Treasurer Wayne Swan at an Australia Day bar-b-q in 2008 was catalyst and the beginning of a journey that saw a baby teaching water safety DVD launched in Canberra on Wednesday 28th October 2009. The Minister for Early Childhood Education, Childcare, Youth and Sport, Kate Ellis was amazed as little Evie Read, aged just five and a half months, sat calmly in a green plastic shell filled with water at the AIS swim school and allowed Minister Ellis to pour water over her angelic face. The look on Evie’s face spoke a thousand words as she smiled, squealed, and splashed water back all over Ms Ellis. The Minister couldn’t believe how relaxed and comfortable Evie was with the water. Later little Evie, in her Kids Alive cossie, took to the pool to show the media her paces. Urged on by her doting grandfather, affectionately known as “Lollipop,” Evie showed how easy it was for young babies, given the opportunity and correct trigger preparation, to submerge and float at a very early age. The Living with Water DVD – a Comprehensive Guide to Water Safety for Under 5’s promotes water safety messages for newborns, crawlers, toddlers and pre-schoolers. It includes essential information about learning swimming and water safety skills, eliminating water hazards, pool fencing, constant supervision of children around water and learning cardiopulmonary resuscitation (CPR) skills. “In these modern times where the average three year old is sedentary in front of the television set for much of the day and spends barely three hours a day in active play I want this DVD to help build a healthier nation. I want it to be a bible for fun fitness health and safety, but more importantly I want it to save lives,” he said and then he broke into a couple of verses of poetry. The father of a daughter who’d have claimed the Nobel prize! Teach your kids to swim it’s great! The baby teaching water safety DVD is a world first in drowning prevention for preschool children and one which former Olympic gold medal coach Lawrence hopes will not only realise his dream of zero preschool drowning in Australia but also be a blue print in drowning prevention around the world. Bounty new mother’s bag is on board to distribute the DVDs in hospitals all over Australia – reaching 83% of new mothers every year. Young Mums and Dads will go home from the hospital nursing their new bundle of joy and armed with information that with bring the pool to the bathroom. Hundreds of thousands of young Australian will benefit from the valuable information contained in the DVD. In the making of the DVD numerous water safety experts were invited to form a reference group, share their expertise and suggest information to be included in the DVD. Emma Lawrence sorted information and together with Cutting Edge Studio’s senior producer Pete Walmsley produced a DVD that was shown to focus groups of young parents for their comment. This process was repeated on numerous occasions until Walmsley was convinced he had a DVD that was not only unique but a world first. Walmsley enthused, “This DVD contains information on water familiarisation exercises for parents to perform on their babies in the bath and shower. It details water dangers that exist for little children as they grow from baby to crawler to active toddler. There is information on what to look for in a good swim school and St John ambulance has included a section on CPR. Thanks to the Commonwealth Government who funded the project and the generosity of Kids Alive, parents and caregivers of under 5 year olds will be able to collect a free DVD from their Swim School registered with Aussie Aquatics. The SAFER Swimming Pool Watcher lanyards are available from participating Registered Swim Schools. Copies of the SAFER Swimming booklet are currently been revised. These banners are currently been revised. The SAFER Swimming CPR-Hero is based on a “compression only” form of CPR. Compression only CPR is recognised by all international resuscitation councils, including the Australian Resuscitation Council. CPR-mate is a simple and easy way to learn compression only CPR for the whole family. The SAFER Swimming CPR-mate available at participating Swim Schools registered with Swim Australia. Leading by example, and respected by his peers, Ross is dedicated to helping reduce drowning deaths, and ensure all Aussies learn-to-swim and become safeer, smarter and stronger as a result. Qualified in Human Movements (Education), Ross has evolved as a successful swim teacher and coach, industry consultant, co-editor of swim journals, as well as centre manager and swim school owner. In 1997, he established ‘Swim Australia’ and has driven it ever since. A regular Keynote Speaker, Ross has been extensively awarded for his industry involvement, receiving “Outstanding Contribution to the Teaching of Swimming in Australia”, and “Meritorious Service to the Teaching of Swimming in Australia” awards. Nicala upholds extensive skill-set versatility over a broad business spectrum. Married for 20 years, and a mother of two, Nicala is a true sports enthusiast, having spent the majority of her life in, on or around the water – originally as a competitive swimmer. Developing her business foundations within the banking arena, Nicala then proved her true resourcefulness and loyalty, in becoming a Personal Assistant at Channel 7, for 11 years. 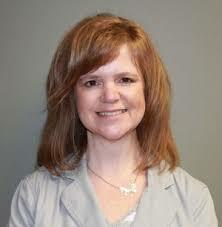 Her professional flexibility would later see her return to the pool as a teacher for another 14 years, before advancing to a management position within the organisation. Jasmin is extensively skilled in sports, and media consultancy. A former ex-elite swimmer, she medaled at various national and international championships in sprint freestyle, butterfly and relay events, before prematurely retiring in 2000, due to an ongoing back injury. Graduating from QUT with a Bachelor of Journalism – and an induction into the International Honour Society for her academic achievements – Jasmin has followed an exciting and versatile media career. Cutting her teeth at Channel’s Ten and Nine, Jasmin has enjoyed many roles as a TV host, journalist, writer and producer for a range of local and national shows, from kids, news, sport and current affairs programs. Wearing many media-related hats, the mum of one, is a popular MC at special events, is a consultant in media, PR and writing to a range of businesses and individuals, and proudly co-runs Media Force Productions, with her husband and TV cameraman, Chris. Emily has a true passion for swimming, sports and events. A graduate of Bond University with a Bachelor of Sports Management, not only has she medalled in the pool and in Open water – at both State and National level – Emily was a Learn to Swim Teacher and Coach at The Southport School (TSS) on the Gold Coast. Here she’s assisted in realigning the learn-to-swim system, creating a �?feeder’ stage for kids transitioning from learn-to-swim to mini squad. Having assisted at several Conferences and events, Emily presents a unique set of skills, ideal for her diverse and crucial role for the organisation. Since moving from England two years ago with her family, the QUT journalism student and freelance writer, has already worked for a number of fashion and lifestyle publications in Queensland. With a passion for writing, extensive experience in the production of photo shoots, an eye for detail, and remarkable flare for working with young children, Riana is an asset to the Media team. Specialising in administration across a diverse field of industries, Danielle is a crucial team member in ensuring the Swim Australia engine room, is maintained. A mother of three, Danielle has successfully teamed for love for sport, with her profound skills in front line business. Formally an assistant teacher at an International Preschool, Danielle has taught learn-to-swim and is passionate about childhood education, wellbeing and keeping kids safer, in and around water. We are committed to a swimming and water safety for all philosophy. We incorporate inclusion strategies in all aspects of its activities, endeavouring to create opportunities for all Australians to participate. Whether people choose to learn to swim for safety, fun and enjoyment, health and fitness, aspire to be a world champion, or choose to be involved in a non-swimming role as a teacher or volunteer swimming provides many opportunities. As the Peak Industry Body for Swim Schools, we are committed to assisting its Registered Swim School network emulate such a philosophy. To that end, various Special Interest Groups, driven by passionate, expert Leadership Teams have been created. Additionally, a number of great fit charities have been embraced – our ‘Pool of Causes’. Our initial major project in fulfilling its Inclusion Strategy was the development of the Inclusive Swim School Standard. This was Launched in Cairns on the 9th July 2015, during our annual National SwimDisABILITY Fest. When contextualizing the sports ‘Inclusive Clubs Standard’ to one suitable for Swim Schools, we also modernized it to incorporate the Federal Government’s Play by the Rules 7 Pillars of Inclusion. 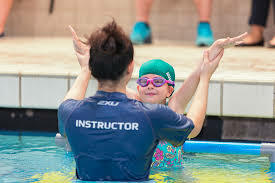 helping Swim Schools, we and associated bodies, identify areas of strength and weakness, enabling the development of better, inclusive programs.To assist Swim Schools develop a more Inclusive outlook in general and work through this Standard in particular, a range of resources have been accumulated. *With the kind permission of Swimming Australia Ltd, these have been contextualised to suit the Swim School environment. • Standards; including information and guidelines. • Providing regular information and tips regarding environmental practices to Swim Schools. • Lobbying regulators, including Government, regarding standards pertaining to the likes of water treatment. We are proud to promote quality swimming lessons and swimming instruction standards through our registered swim schools across Australia. 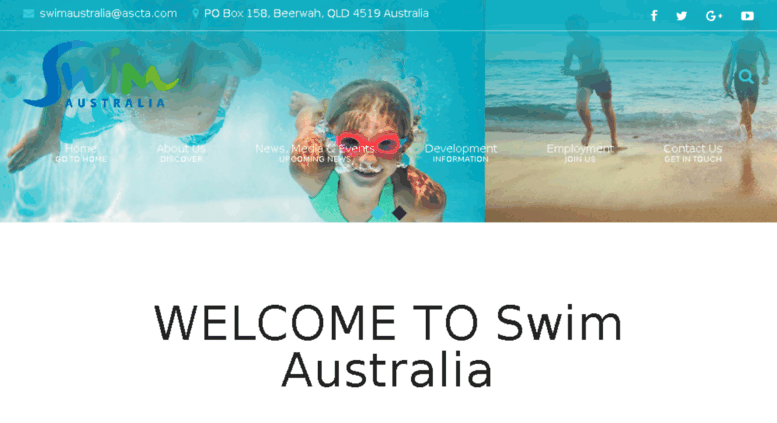 Whether you’re in Victoria, New South Wales, Queensland or anywhere across the country, you’ll find a registered swim school near you. Use our swim school locator to find your closest location. An inspection, complaints and evaluation mechanism operates. To view Swim Schools that are currently registered use the Swim School Locator. From the 1st June 2012, Registered Swim Schools were able to apply to become Accredited Swim Schools. To achieve this status, Swim Schools must pass more comprehensive and higher level standards. This ranges across the likes of teaching-learning, facilities, staff development and management practices. 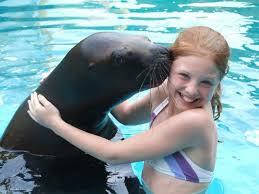 Due to the nature of the assessment, it will take Swim Schools some considerable time to reach a positive outcome. Once Swim Schools have had a reasonable period to achieve Accreditation status, we will be recognising same via the likes of this website. From there, Accredited Swim Schools will have the option of applying to become a �?Swim School of Excellence’ in various categories. To find accredited swim schools in Victoria, New South Wales or anywhere across Australia, use our swim school locator here. the Peak Industry Advocate body for Swim Schools in Australia. Since 2001, AA had licenced the trademark “Swim Australia” from the Australian Swimming Coaches and Teachers Association (ASCTA), as a means to brand this vital community service. Prior to that, Ross Gage (Sole Director of AA) operated ASCTA’s learn to swim section – which went by the ‘Swim Australia’ name. Our vision is one of a Safer, Smarter Stronger nation of swimmers. Operating as the Peak Industry Advocate for over 500 Swim Schools, we have become the national authority on teaching swimming and water safety. Our mission is to develop “learn to swim” in Australia to its full potential; resulting in all Australians learning to swim and gaining good water safety knowledge through the safest and good swimming lessons. Through the Layers of Protection’ plan, SAFER Swimming and learn to swim programs, AA is on a quest to permanently reduce drowning deaths in Australia. Our Swim School’s community alone, boasts over 600,000 families taking part in swimming lessons, each week – the largest network across the country. 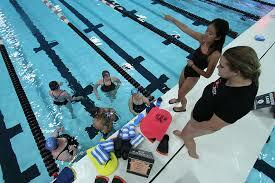 Register Swim Schools that meet industry standards after referencing with various relevant bodies. Provide the Registered Swim Schools with products, services and professional development programs to significantly enhance their operation. To promote learning to swim on a national basis, with an emphasis on the life-long health, safety, fun and fitness benefits of swimming. 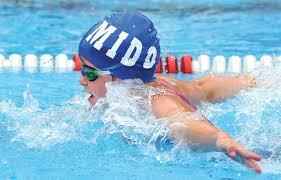 To recognise programs teaching swimming that meet prescribed guidelines. To aid in the development of the teaching and management expertise of such programs.